BMW Motorrad once again sold significantly more motorcycles and maxi scooters in 2015 than in the previous year. This means that the motorcycle segment of the BMW Group has achieved a new all-time sales high for the fifth time in succession. With a total of 136,963 vehicles sold (prev. yr.: 123,495 units), the most successful premium manufacturer of motorcycles and maxi scooters supplied 10.9 percent more vehicles last year than in 2014. In the month of December, too, sales increased by 6.6 percent to a new record figure of 7,497 units (previous year: 7,032 units). BMW Motorrad experienced growth in all markets worldwide and was the market leader in 26 countries in the premium segment of motorcycles over 500 cc. The markets of North America and Europe made the biggest contribution to the increase in sales. The blue-and-white brand's biggest single market in 2015 was once again Germany. 23,823 vehicles remained in the home market, in other words some 17.4 percent of total sales. With a share of more than 25 percent, BMW Motorrad was once again the market leader. The USA followed in second place with 16,501 vehicles sold. The largest single markets follow in the order of France (12,550 units), Italy (11,150 units), UK (8.200 units) and Spain (7,976 units). Stephan Schaller, President BMW Motorrad: "We are able to look back on an exceptionally successful year. For the first time in the history of our company we supplied more than 135,000 BMW motorcycles and maxi scooters. I should like to thank our customers most sincerely for the enormous trust they have placed in BMW Motorrad." With this repeated sales success, BMW Motorrad has moved considerably closer to achieving its 2020 sales target. As Schaller says: "Our aim for 2020 is to supply 200,000 vehicles to customers. The 2015 sales figure shows that our motorcycle strategy is taking effect. And based on this strategy we have a lot planned for the years to come. We will continue to consistently pursue our current model offensive in the premium segment over 500 cc, and we will be entering the capacity class under 500 cc with a genuine BMW machine this year - the G 310 R. In the medium term we shall be offering further innovative products in the area of urban mobility and electromobility. While continuing to extend our sales activities in existing markets, we shall also be penetrating new markets. Asia and South America are very much at the top of our list here. Our worldwide dealer network will grow significantly from the current figure of some 1,100 dealerships to a total of 1,500." Stephan Schaller continues: "Our product and market offensive will be backed up by a repositioning of the BMW Motorrad brand. Under the brand claim "Make Life A Ride," we will be developing BMW Motorrad further to make it an emotional power brand — though without giving up our traditional qualities of innovation, safety and quality." Water-cooled R 1200 GS is the most successful BMW motorcycle. The largest contribution to the 2015 sales figure was made by the BMW R series with the hallmark boxer engine, accounting for a share of 73,357 vehicles or 53.6 percent. As has traditionally been the case, the most successful BMW motorcycle, the R 1200 GS (23,681 units) is followed by the other volume models, the R 1200 GS Adventure (18,011 units) and the R 1200 RT (10,955 units). 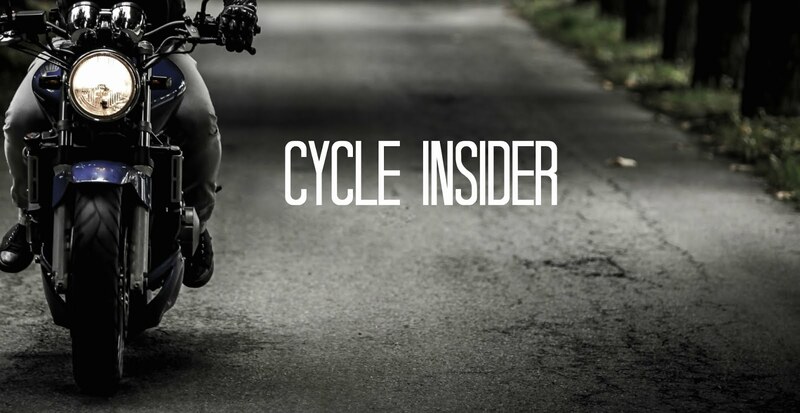 Meanwhile the BMW R nineT has become a true cult bike, finishing fifth in the BMW ranking list in its second year of sales with 9,545 units sold. The roadster R 1200 R (6,951 units) and the new touring sports bike BMW R 1200 RS (4,208 units) are likewise demonstrating a pleasing development. In the sporty BMW S-Series (S-Series total: 21,110 units), the supersports bike S 1000 RR has become the fourth most popular BMW motorcycle with 9,576 units sold. Together with the power roadster S 1000 R (6,473 units) and the adventure bike S 1000 XR (5,061 units) only launched in mid-2015, it has become a powerful pillar of the BMW model range. The 2-cylinder mid-range models F 800 GS/GS Adventure (6,603 units / 4,129 units) and F 700 GS (6,282 units), as well as the F 800 R (5,971 units) and F 800 GT (2,631 units) likewise continue to enjoy a high level of popularity (F-Series total: 25,616 units). The sales figure for the innovative and luxurious travel motorcycles K 1600 GT, GTL and GTL Exclusive fitted with the BMW in-line 6-cylinder engine was 4,866. In addition, the maxi scooters C 650 GT and C 600 Sport attracted a good response: 4,530 units were sold in the last year before their model change. Sales of the electrically powered scooter BMW C evolution remained on track with 957 units. This good acceptance among customers shows that BMW Motorrad chose the right approach by taking this first step in the direction of electromobility. Stephan Schaller: "From spring to summer 2015 we launched no less than five new models - the F 800 R, the S 1000 RR, the R 1200 R and RS and also the S 1000 XR. These made a crucial contribution to the sales success of BMW Motorrad." In the 2016 season, too, innovative and emotional vehicles will be added to the BMW Motorrad portfolio. Since the New Year got underway, the thoroughly revised C 650 maxi scooters have already become available on the market. In the second half of the year, these will be followed by the second model of the BMW Heritage world of experience, the new BMW R nineT Scrambler, as well as the first model of the capacity class under 500 cc, the new BMW G 310 R.
Stephan Schaller: "The signals we are getting from the markets are making us confident and optimistic. Motorcycles are clearly on an upward trend once again. There is a positive mood in the motorcycle markets of Europe and America. And we are intensifying our efforts in Asia, too — especially in China. BMW Motorrad remains on course for growth. Our aim this year is to achieve a new all-time sales high once again so as to move even closer to our target of 200,000.